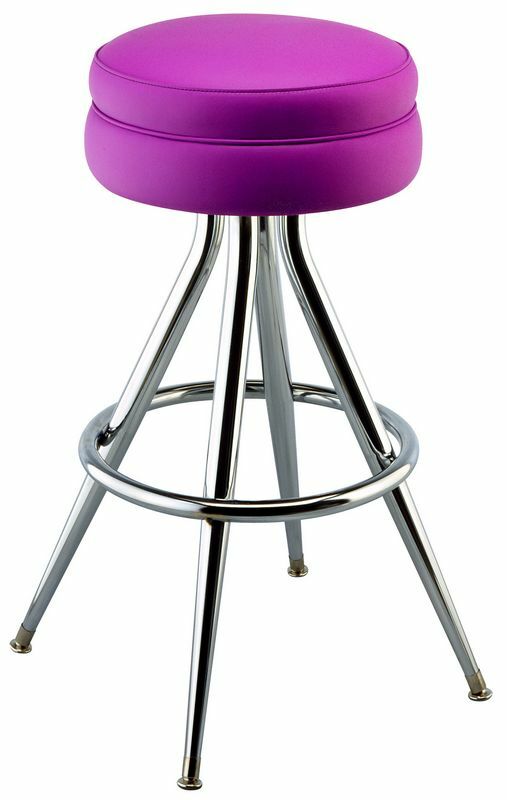 This is a deluxe swivel bar stool with extra padded seat. 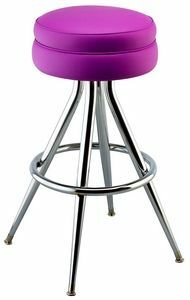 This stool is built for both durability and comfort. The frame is made of 18 gauge steel. It is available in Chrome, Black, and Mocha Brown. The foot rest is available in Chrome and Brass. The upper is available in black and chrome. This product is manufactured in the USA.